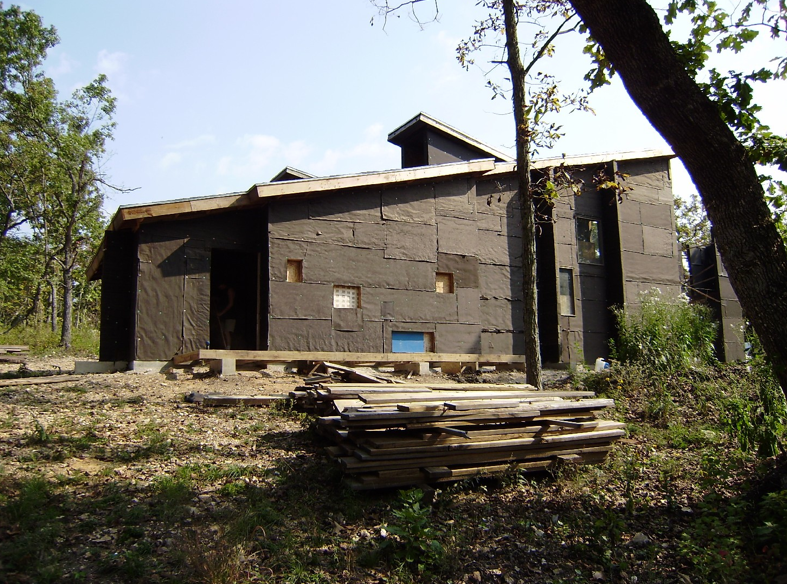 Problem: Design a fabrication system for construction on a remote 3 acre rural Missouri site using 95% reclaimed material. 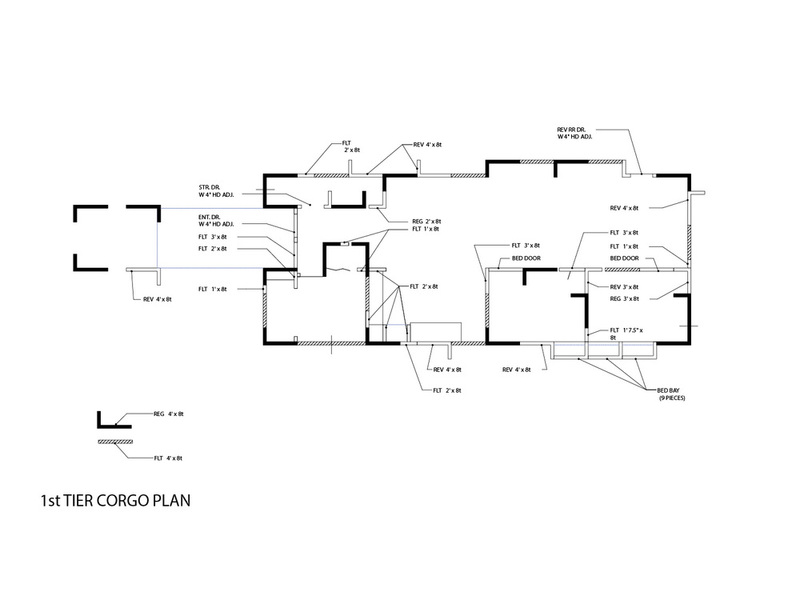 Solution: The CORGO Module as a prefabricated series of Lego-like flat and L-shaped stackable units made from reclaimed 2 x 4's and framed with salvaged OSB or plywood fragments. Project Desciption: Black House is a 1500 square foot, 2 Bedroom, 2 Bath weekend/retreat home with an additional sleeping loft/office/studio. Black House integrates an exterior stair/viewing tower with an exterior 2nd level deck as a formal entry carport. Black House was conceived to utilize fragments of refuse/salvage material from the construction industry and integrates a series of spatial experiences that grow out of a facade developed from fragments in the spirit of the artist/sculptor Louis Nevelson. Like Nevelson herself complied and organized found fragments (as stacks or controlled piles) and unified them with a monochromatic coating of paint (black, white, or gold), Black House utilizes the 'power of paint' to graft dissimilar found materials (like corrugated aluminum and metal siding) together with a simple Black and White color scheme.